Richard Good of Goodparts.com has developed, among other things, an upgrade kit that lets you install a Nissan differential in your TR6. You have a choice of various gear ratios (3.54, 3.69 or 4.08) depending on your need for speed or your need for low RPM's. The source cars are the Infiniti Q45 or the Nissan 300ZX and fall under the generic title of R200 short-nosed. For a complete list of the model and year donor car, Richard has a complete listing here. 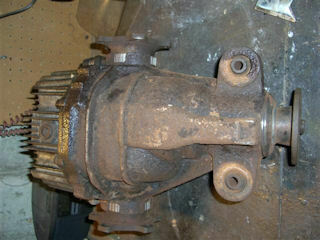 You can buy your differential from Richard ready to install or source your own and do the few modifications required. 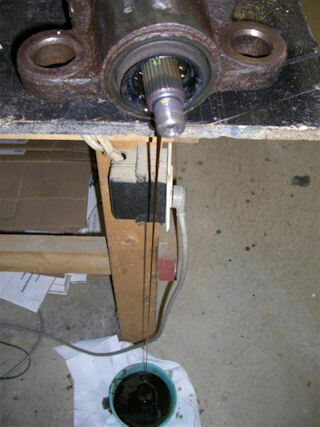 Regardless of where you get the differential, you'll have to buy Richard's installation kit to get it all to work. 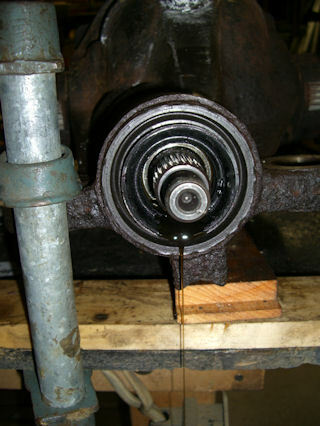 In addition, depending on your transmission, you may have to shorten your driveshaft. 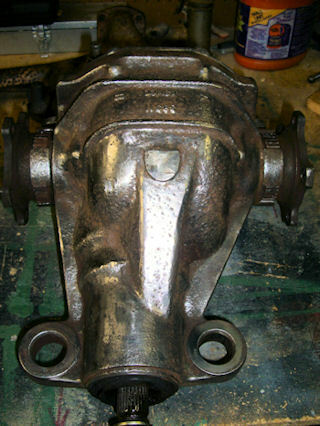 With the Toyota 5 speed, there's no need to shorten the driveshaft...............or so I thought until I got a phone call from Herman Van der Aker.....but more on that later and in the 5 Speed section of the site. Unlike the Toyota 5 speed, the differentials are somewhat harder to find. I've searched both on line Auto Parts and eBay for the past 5 months before finding one on eBay that met all the requirements. The price was right and the shipping was reasonable so I grabbed it. It was from a Nissan non turbo 300ZX and has the nice aluminum finned cover. Once I got it, I was taken back by the cosmetics, i.e. a rust covered case, but everything turned nice with no free play or slop. The other thing I was struck by was how heavy these things are...........83 pounds. When I got my old unit out of the car, I put it on the shipping scale and it came in at 70 pounds. So, in this case, the upgrade is adding weight to the car. 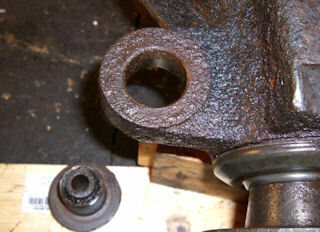 I'm in the process of cleaning it up with a wire wheel on my angle grinder. The flange is off to my TBI buddy Rick Patton, who will machine the flange to match the TR6 flange........and he's sending a nice new NAPA pinion seal. All I have to do is grind off the Bump on the housing. 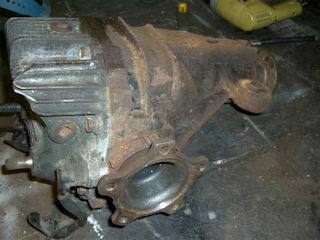 Nissan 300 ZX 4.08:1 Differential. The wetness is from shipping. 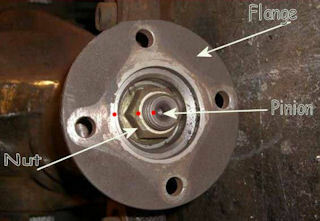 Knock out the old bushings with a 7/8" socket, a BFH and lots of PB Blaster. 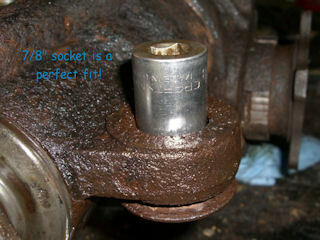 impact wrench and a 1-1/16" socket on the nut. 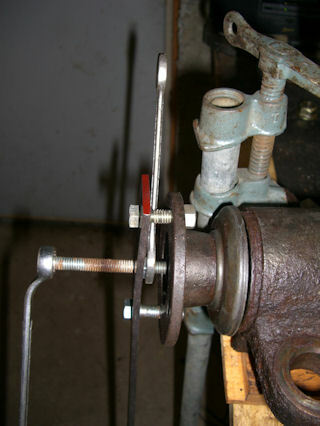 My homemade flange puller worked great. 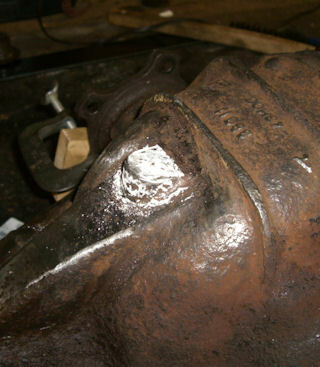 Over the next week or two I'll attack the rusty case with my angle grinder and wire wheels and then paint it with POR-15. I'll also wire brush the aluminum finned housing and get it as shiny as I can. With Christmas a week away, I may not get much done until after New Years.